This practical guide takes the intimidation out of account-based marketing in today's highly digitized world. You'll be armed with the knowledge you need to increase your reach in real time, giving you greater exposure to other decision-makers and influencers within an account. You'll discover how, through a combination of marketing technology and online advertising, your messages can be displayed where and when your customers already engage online. That's a story you have to ask him when you meet him at a happy hour! To add to the mystery Sangram found a great way to get 100% of his tuition paid by inventing a language class for the first time ever at the University. That's where he learned about entrepreneurship! Sangram then finagled his way to work at Deloitte Consulting and then jumped around at startups and early-stage companies. His career skyrocketed as he got the opportunity to run marketing at Pardot and led it through the acquisition of ExactTarget. While he was leading Marketing, Salesforce acquired ExactTarget for $2.5B dollars and that's when Sangram learned how to scale a business and what category making is all about. 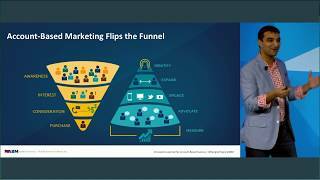 Most recently, Sangram kicked off an ambitious project called the daily #FlipMyFunnel podcast that has a different theme every single day. Yep! Thanks to you, the #FlipMyFunnel podcast is now ranked in the top 20 podcasts in the business category next to Gary Vaynerchuk and The Tim Ferriss Show with five-star ratings. How crazy is that?!? Loving it and can't wait for you to tune in. Let me know what you think! 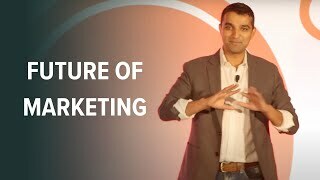 In this session, Sangram Vajre, Terminus Co-Founder & CMO, author of Account-Based Marketing For Dummies, and founder of #FlipMyFunnel will share some of the unique challenges of category creation. 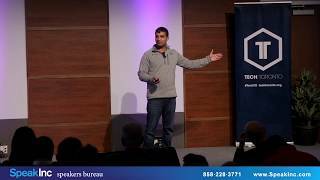 Sangram will discuss lessons learned and provide the audience with solid takeaways to win the race in building your category for your business. Big Ideas, Sangram asks the question, "Are you a one night stand marketer?"